National Locomotive Works, of Connellsville PA, founded by John Y Smith, was one of the lesser known narrow gauge locomotive builders of the 1870's. In 1872, Smith formed an alliance with George Dawson, known as Smith & Dawson. Smith resigned a year later, forcing Dawson to seek additional partners. This brought in William Bailey to form Dawson & Bailey. 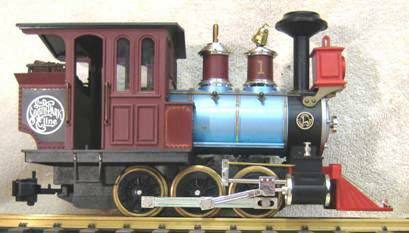 D&B focused on the lucrative narrow gauge market, in competition with Porter-Bell and Baldwin. D&B locomotives were generally small and similar to Porter's, but with a level of finish and elegance of the better known and established firms in eastern USA. In 1875, Dawson left, amidst financial troubles. Bailey re-organised as W.H. Bailey & Co, and maintained business under the National Locomotive Works trade name, ultimately failing in May 1878. The first two DSP&P locomotives were a small 2-6-0 Mogul and a 4-4-0 American built by Dawson and Bailey's National Locomotive Works in 1874. 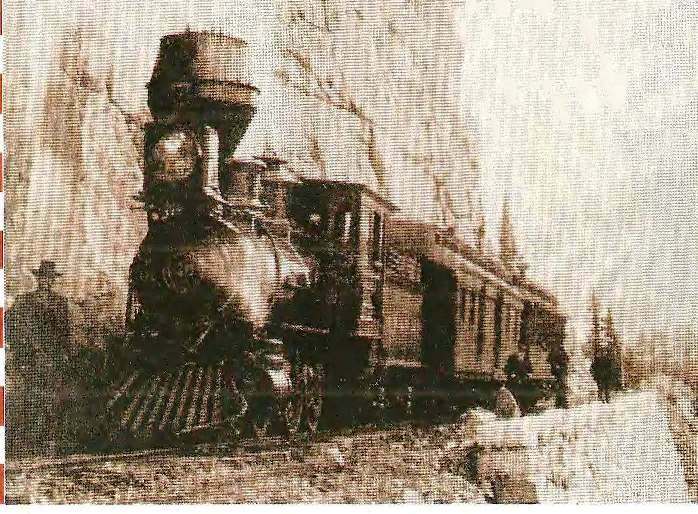 Named "Fairplay" and "Platte Canyon" respectively, they were the only motive power on the railway until the first Mason Bogies arrived in 1878 -- 1879. 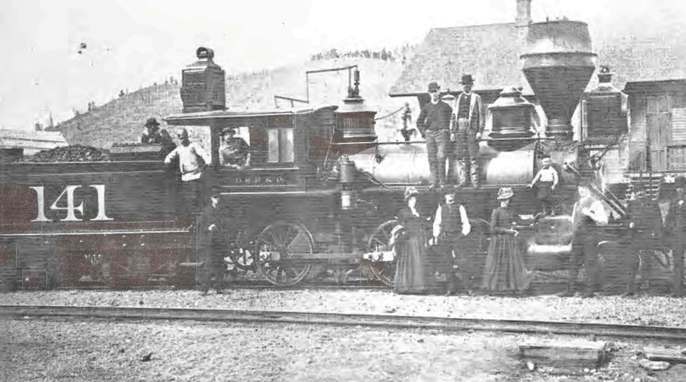 During the delivery of the Bogies in 1879, the South Park also purchased three used D&B 2-6-0's from the Cairo and St. Louis Railroad, originally built in 1875. D&B locomotives were quite fancy with gold leaf trim, slightly arched windows, and hardwood cabs. The pretty paint probably didn't last long in the rough service on the infant DSP&P. None of these locomotives lasted past 1889. DSP&P 2-6-0 #1 "Fairplay" was used for construction in it's early days. Phil Ronfor's sketch of DSP&P #1 shows a tender with a single-axle front truck and a double-axle rear truck. 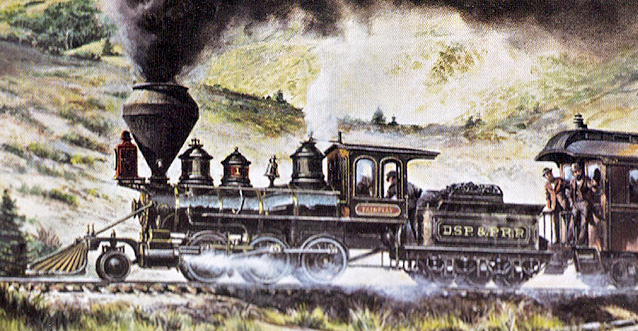 The engine became DSP&P #4 in the UP renumbering of 1885, was condemned in 1887, and scrapped in 1888. DSP&P 4-4-0 #2 "Platte Canyon" was used initially on the daily mixed train between Denver and Morrison, CO. Renumbered to DSP&P #283 in 1885, it was out of service before 1889. 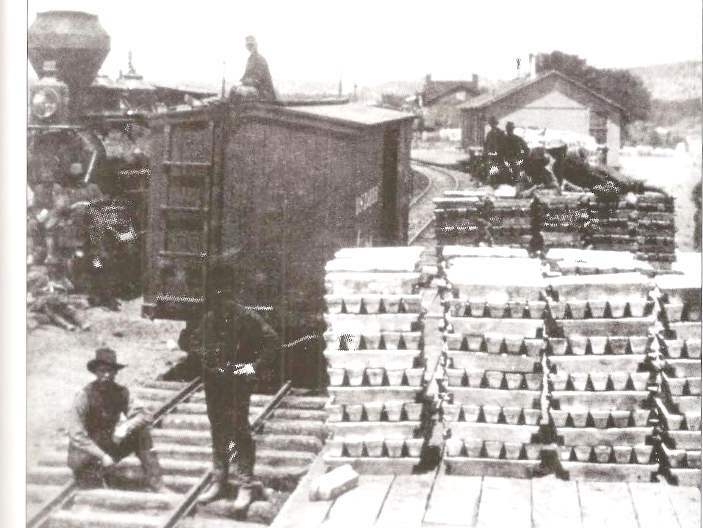 DSP&P 2-6-0's #17, 18, and 19 arrived used from the Cairo and St Louis Railroad in November 1879. They were renumbered DSP&P #140 -- 142 in 1885, and all three were scrapped in 1889. These units were somewhat larger than DSP&P #1. Most photos of these D&B locomotives are taken from a fair distance and are a little blurry when blown up to see the locomotive instead of the scenery. I am not aware of any plans or folio sheets for these five locomotives. Unique lettering on the tender of "Platte Canyon"
This drawing by Phillip Ronfor is his interpretation of the first photo in the Photo Gallery above.